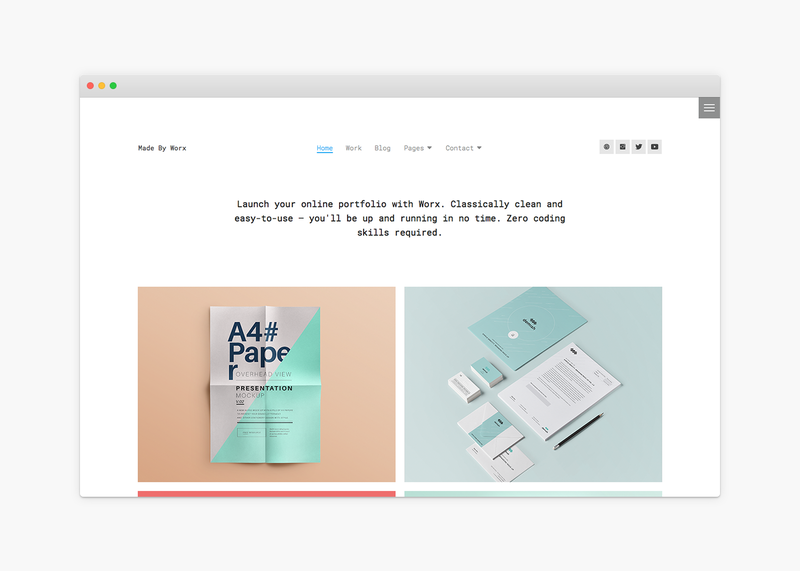 A classically clean portfolio theme for creatives. Handsome and easy to use — Worx is a classically clean portfolio theme ideal for creative minds, freelancers and agencies. If you’re in the market for a no-nonsence theme with just the right amount of bells & whistles: Worx is an ideal fit for you. No Coding Skills Required. Worx features a classically clean yet sophisticated design making it an ideal fit for your content. With custom post-types for projects, team and testimonials there are enough possibilities to add all the content you want. Make Worx really yours and match your personal branding and taste by utilizing the WordPress native Customizer.